During my last visit to the Harike wetland in Punjab, which is situated on the bank of the confluence of Satlej and Beas river, I found that a bird is flying around me like he was asking me to take his pictures. Later, I found that it is a River tern, a bird which lives around fresh water rivers. The scientific name of this bird is Sterna Aurantia and it is also called Indian river tern. 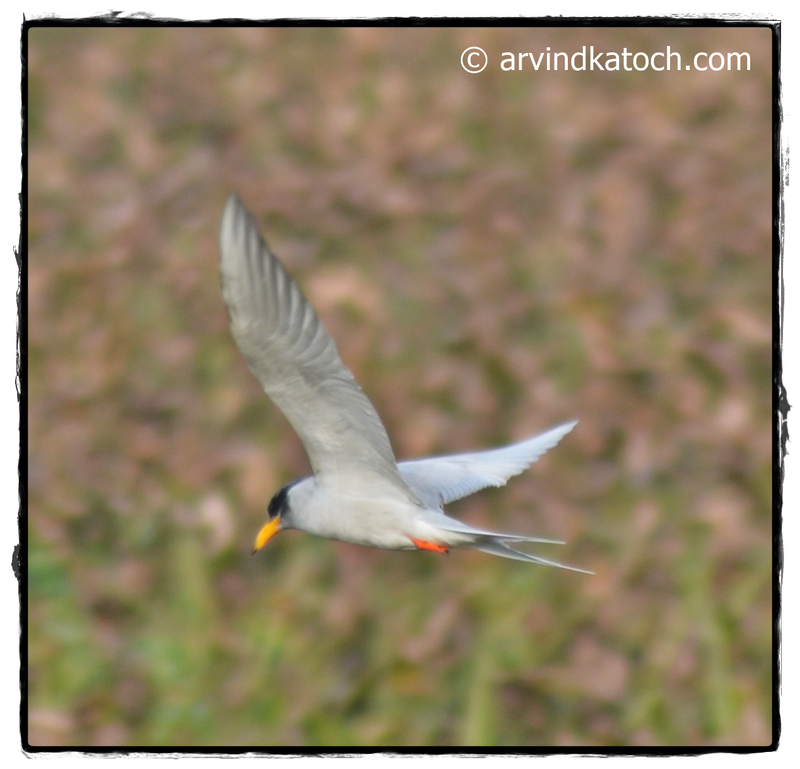 I also got encouraged by the movements of river tern around me and clicked a few of his flying action. River Tern is a bird of tern family and it is a resident breeder. River tern as the name suggests is found near rivers and we can find this bird from Iran to Thailand. We can easily spot this bird in India; therefore it is called Indian river tern. River Tern make their nest on bare rocks or on the sand near river banks. Their breeding season is from March to May. The best way to recognize this bird is to notice the black head and yellow bill. River Terns mainly eat fish, tadpoles, aquatic insects and Crustaceans. They plunge dive to get their food. This time, I only succeeded in getting pictures of River tern in flying position and next I will try to get more it pictures in different positions. I do hope that you try to notice a river tern when you visit a water body, lake or river.